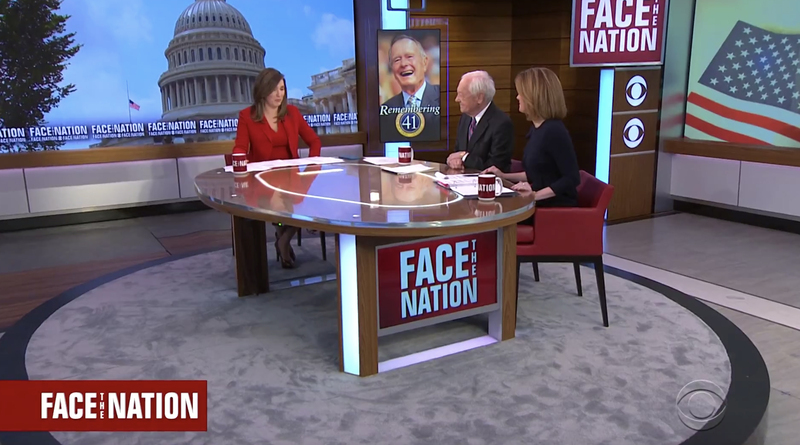 The network Sunday morning shows all lead with the death of former President George H.W. Bush — after a crowded schedule prevented most from full coverage Saturday. 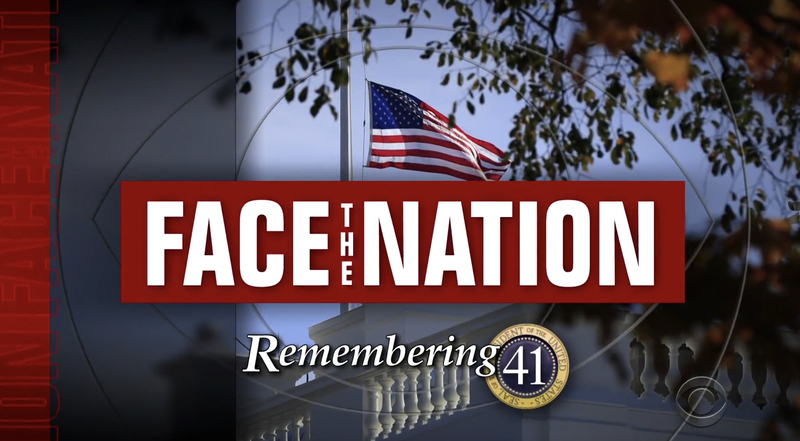 CBS News‘ ‘Face the Nation‘ added a ‘Remembering 41′ (referring to Bush being the 41st president of the United States) to its title card. The number ’41’ was placed in the center of a simplified version of the presidential seal. One of the on-set vertical video panels also featured this logo along with a portrait of Bush. 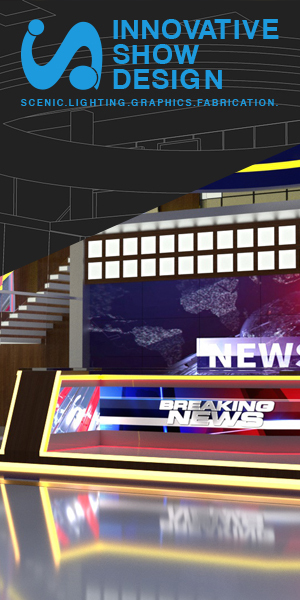 The studio’s video walls boasted an updated video loop of the Capitol with the flag at half staff and America flag and photo collage background on the right behind the guests. 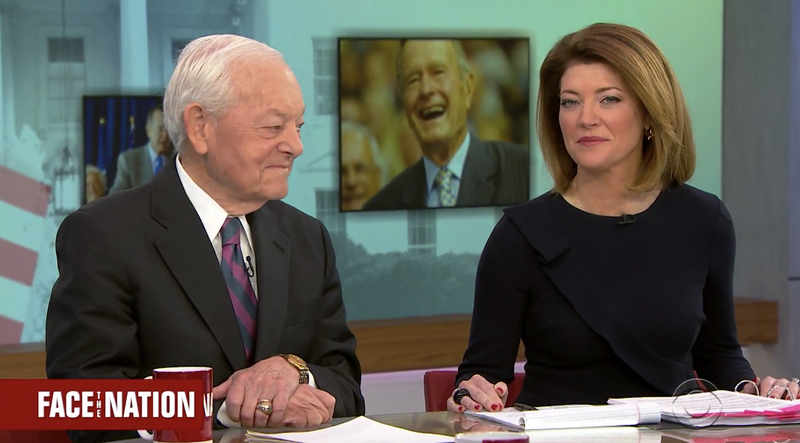 The in-studio guests for Bush coverage included the network’s own Bob Schieffer and ‘CBS This Morning‘ c0-anchor Norah O’Donnell. 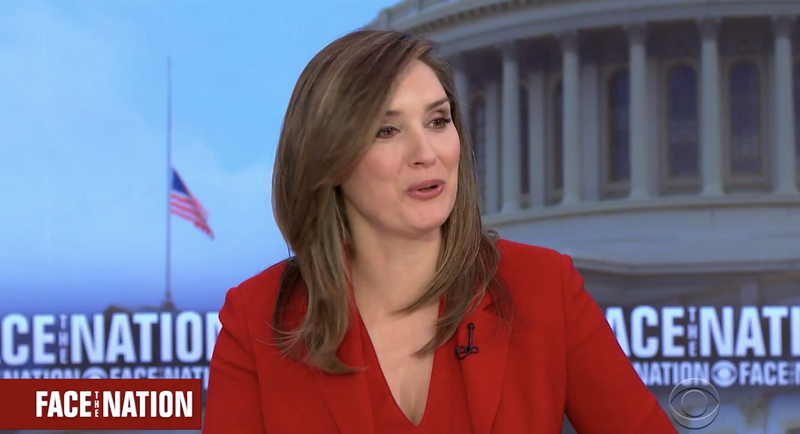 By changing the angle of the video feed behind moderator Margaret Brennan, the one-shot of her placed the flag prominently camera left, with the Capitol dome camera right.